Your Life Insurance Broker can get you the best rates on life insurance for you situation! There are many advantages in dealing with a life insurance broker when you want to obtain life insurance. The broker is familiar with the requirements of many different carriers and knows which ones they can contact to get you the best rates on life insurance for you situation. It does not cost anything extra to use a broker to obtain your life insurance, and in most cases you will pay a lot less then if you had searched for the coverage yourself. Your Life Insurance Broker will help you determine how much coverage your family would need in the event of your death and assist you in determining what type of life insurance would best suit your situation. 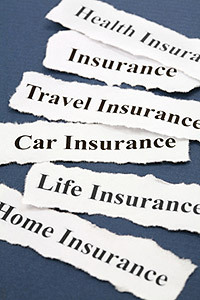 You can search online for a broker just as easily as you can search for life insurance. Instead of having to contact three or four life insurance companies for quotes in order to get the best rates, let a broker do the work for you. Visit the Solutions Financial home page for a Free online Life Insurance Quote.